Looking to join an airline pilot training programme? These programmes are looking for the best of the best and the process can be difficult. But with the right preparation, you can be ready for all the tests and assessments that come your way. 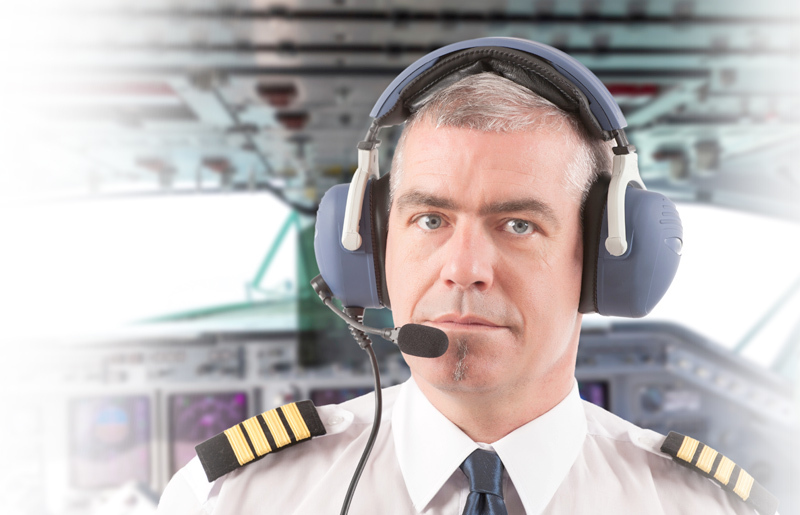 Learn more about the path to becoming an airline pilot with JobTestPrep. Many of the top airlines have pilot trainee programmes. These programmes are designed for candidates with no flying experience to be trained and potentially hired by the major airlines. In order to join the training, you must be accepted by both the airline and FTO (flight training organisation) after a process which uses both psychometric tests and assessments to make sure you are the right fit for the airline and for this career. The following are a set of skills required as part of the day-to-day job of a pilot. These skills are tested throughout the recruitment process of any pilot training scheme, be it through the PILAPT, other aptitude tests, interviews, or assessment centre activities. Whether you are applying through an airline or to an FTO directly, the process always begins with an online application. Some airlines, like British Airways, recruit at specific times throughout the year, while others, like Qatar Airways, recruit on a rolling basis. If you choose to apply to an airline, you have the option of the FTO keeping your application even if you are not accepted to the airline, and the FTO will contact you separately if you meet their standards. Successful applicants are invited to assessment days held by the airlines in conjunction with the FTOs. These assessment days are made up of the same basic steps and include numerical tests, the PILAPT test, a group exercise and an interview. These tests specifically focus on your mental arithmetic skills, so you are not allowed to use calculators or any other sort of aid. This test is comprised of 15 questions and the time limit is 15 minutes. During the test you need to use basic mathematical functions to solve short equations quickly. The PILAPT is the major component of the assessment day and will largely determine whether or not you proceed in the process. The PILAPT test, or pilot aptitude test, assesses a range of skills and capabilities associated with pilots. The test is a one hour test comprised of six modules. For this reason, we have outlined each module below and strongly recommend getting as much practice as possible. Mechanical reasoning tests assess your knowledge of general mechanical subjects such as force, motion, and basic electricity. In some of the questions, it is necessary to make some basic calculations. You may not have encountered these concepts since your school days so make sure to review with our practice mechanical reasoning tests. Spatial orientation or awareness tests are used to examine your visualisation and orientation skills. There are a few different questions common to these tests and they include organising two dimensional shapes, using spatial reasoning cubes, mirror images and perspectives. Similar to the first numerical test you took, the numeracy skills tests look at your mental arithmetic abilities. Without the aid of a calculator, you need to be able to quickly calculate and answer math questions using the four basic functions (addition, subtraction, multiplication and division). These three tests focus on your psychomotor and work capabilities rather than your aptitude. The tests come in a few forms, including crosshairs tests, memory games, and multi-tasking assessments. In addition to testing, airlines and FTOs have cadet candidates take part in a group exercise. These exercises are meant to showcase your teamwork and leadership abilities, both necessary for pilot training and careers. Group exercises commonly include a short task that needs to be completed as a team. The key to success here is to make yourself seen and heard during the exercise without being overbearing. If you come through the tests successfully, your final stage of the assessment day is an interview with a member of the airline recruitment team and an FTO assessor. During the interview, you need to review your work and school history as well as include any other relevant information you included in your application. Also, expect some technical questions about visas, financing, and so forth, as well as some general competency questions. Remember that this process is an opportunity for both the employer and you to see if a pilot career is your best fit. With the right materials, you can fully prepare yourself for what’s to come on the PILAPT and numerical tests. JobTestPrep provides practice tests, detailed answer explanations, helpful score reports, and more to ensure that you are fully prepared for any stage of PILAT process. Start practising today to increase your chances of being accepted into a pilot training course with a major airline or FTO. PILAPT and other trademarks are the property of their respective trademark holders. None of the trademark holders are affiliated with JobTestPrep or this website.